(Fallbrook, California) – The Professional Numismatists Guild (PNG) will conduct its inaugural "PNG Dealer’s Deal" in December in Las Vegas, Nevada. It is the first in a planned series of "new concept" shows. "There will be both PNG and non-PNG dealers attending, a limited number of collector-guests who will be personally invited by participating dealers, and members of the general public who want to attend," said Gary Adkins, PNG President. "This first show will have about three dozen dealers and on-site grading services by Numismatic Guaranty Corporation." 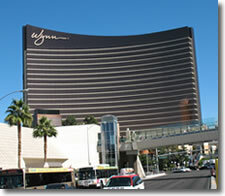 The PNG Dealer’s Deal will be held on Wednesday and Thursday, December 10 and 11, 2008, at Wynn Las Vegas, a luxury hotel and casino on the famous "Strip." "This is a new concept for us. It’s an opportunity for dealers to casually conduct business between each other and with some collectors in a facility with excellent security and surroundings, but yet without the constant commotion and hustle ‘n’ bustle you find at large shows and conventions," explained Robert Brueggeman, PNG Executive Director. "We anticipate there eventually will be two to four PNG Dealer’s Deal shows held each year in Vegas and perhaps other cities." For additional information about the Professional Numismatists Guild and the PNG Dealer’s Deal shows, call (760) 728-1300 or e-mail info@PNGdealers.com. Online:www.PNGdealers.com.